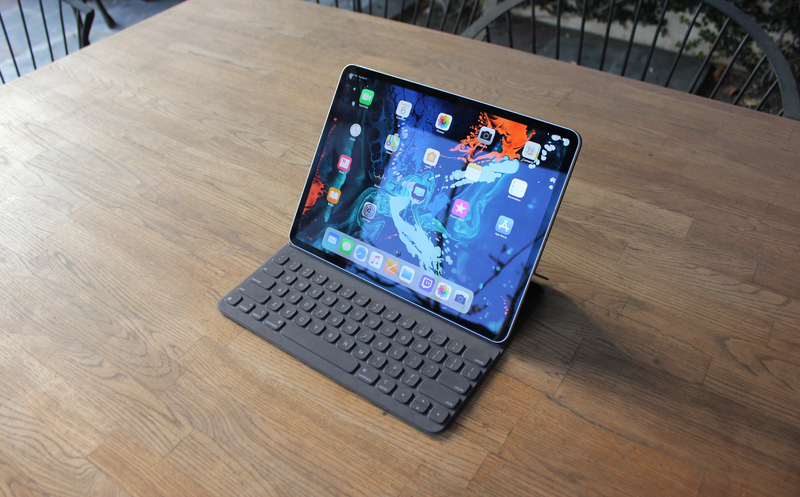 Enlarge / The 2018, 12.9-inch iPad Pro with the Smart Keyboard Folio. Apple simultaneously released minor software updates for iPhones, iPads, Macs, and Apple TV boxes today with iOS 12.1.1, macOS Mojave 10.14.2, and tvOS 12.1.1. The focus is on bug fixes and security, so none of them introduce major new features. But iOS comes closest by expanding the haptic touch feature on iPhone XR to notification previews, making it possible to hide the sidebar in the iPad’s news app while in landscape orientation, and by bringing a couple of improvements to FaceTime—namely, the ability to capture Live Photos (those brief animated pictures) from a two-person FaceTime call and a one-tap way to flip between the rear and front cameras during a call. Just note that to take a Live Photo during a FaceTime call, the person on the other end has to have the feature enabled. The toggle is located in the FaceTime panel in the Settings app. iOS 12.1.1 also adds eSIM support for new carriers, though Apple doesn’t specify which ones. MacRumors confirmed that they include “Swisscom in Switzerland, Orange in Spain, and Three in Sweden and Denmark,” but there might be more. The macOS Mojave 10.14.2 update improves the stability, compatibility, and security of your Mac, and is recommended for all users. There’s not much more to say about the macOS update. There were no new features in the tvOS update; it’s just minor bug fixes. As always, Apple released details about the security aspects of the iOS 12.1.1, macOS Mojave 10.14.2, and tvOS 12.1.1 updates on its website.